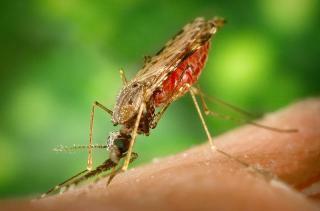 As summer get into full humid swing, so comes mosquito season, and this year is set to be particularly mosquito-ridden. Due to severe budget constraints, the City will not be spraying for adult mosquitoes. The city will continue to maintain the capability to spray for adult mosquito control if and when circumstances call for these measures, such as an impending public health emergency. In the interim, citizens are encouraged to eliminate breeding sites around the home such as stagnant water in birdbaths, gutters, and garden pots. Wear protective clothing such as long sleeve shirts and long pants if you must be outside during the early morning or late evening hours when mosquito activity is generally at its peak. Anopheles (mosquito)Two evenings ago, I sought refuge from the heat of our house (the air conditioning is out) by working on the front porch. My setup included laptop, Sam Adams (of course), pens, floor plan drawings to correct, and a heavy dousing of high octane mosquito repellent. Yet even with multiple applications over the course of an hour, the mosquitoes were somehow finding places to bite that I didn't even know I had. Mosquito fogging is one of those quality of life issues that is easy to take for granted until it is gone... certainly the inconvenience of mosquito bites is less critical to public safety than, say, fire protection, but the little things add up. People who live near Greenwood park will be inside all summer - the mosquitoes are simply unbearable in that "neck of the woods" so to speak. Note that in a public health emergency such as an outbreak of mosquito-borne illness, the City will undertake control measures. Until then, we just have to tough it out against the small but mighty Anopheles.